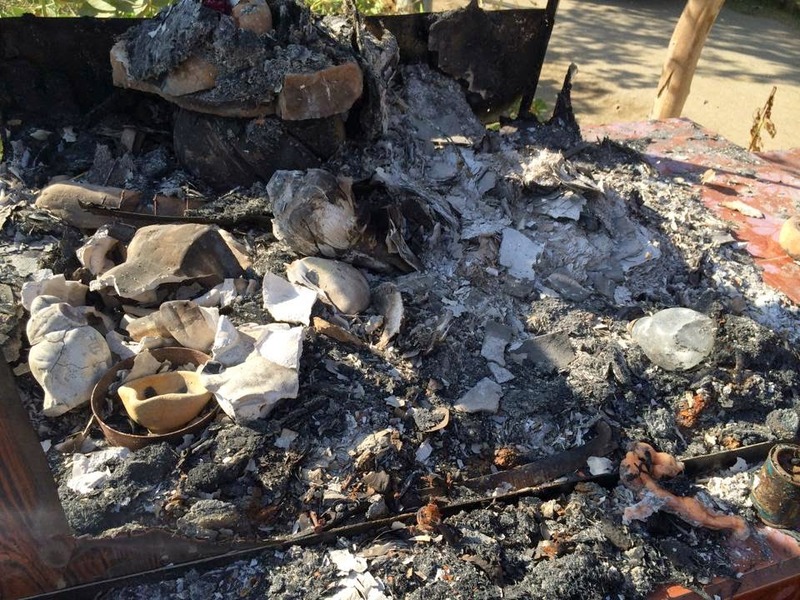 It a shocking experience for a community to come to their place of worship only to see it torched to the ground. Advocate Veerji Kolhi spent more than a week in Tharparkar to help the Hindu Community who are afflicted by drought in the area. 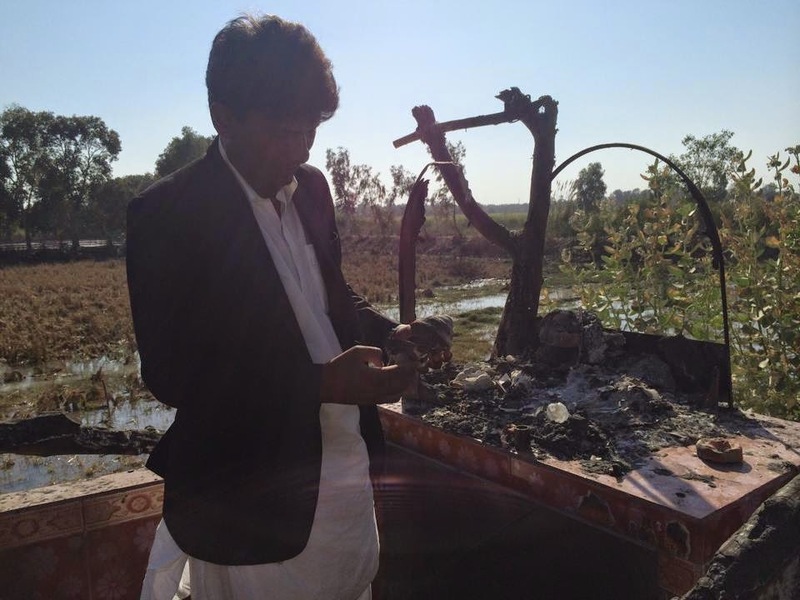 To his dismay he arrived in the Tando Muhammad Khan District of Sindh near Hyderabad only to find a Holy Shrine torched and vandalized. In my conversation with Advocate Veerji Kolhi he explained to me that this shrine is ancient and historical to the Hindus of this region. The people wanted to leave their homes as a result. 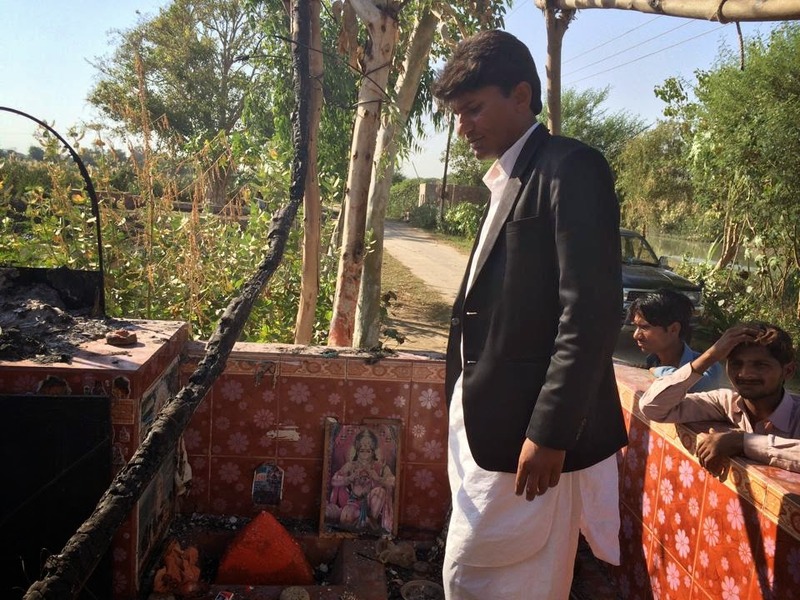 Advocate Veerji Kolhi spoke to Hindu leaders and assured them that despite these attempts to force the owners of this land away that they will remain on the land of their Mother. The community is devastated after this experience. There are few options available. 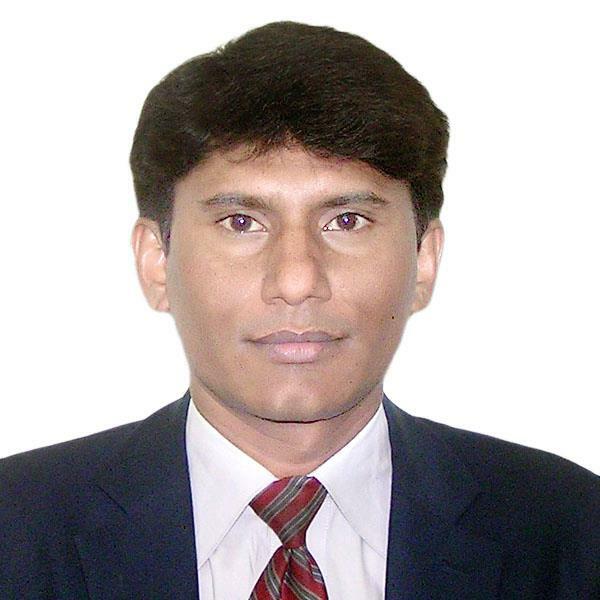 Advocate Veerji Kolhi is not unlike my own people Israel who refuse to relinquish their ancestral home. " It gives them what they want if the people will leave their homes, and I will not allow this. ", says Advocate Veerji Kolhi. Many friends are supporting his position on this issue. Others are very concerned for his safety and the safety of all Hindu communities effected by this and many other crimes against humanity. 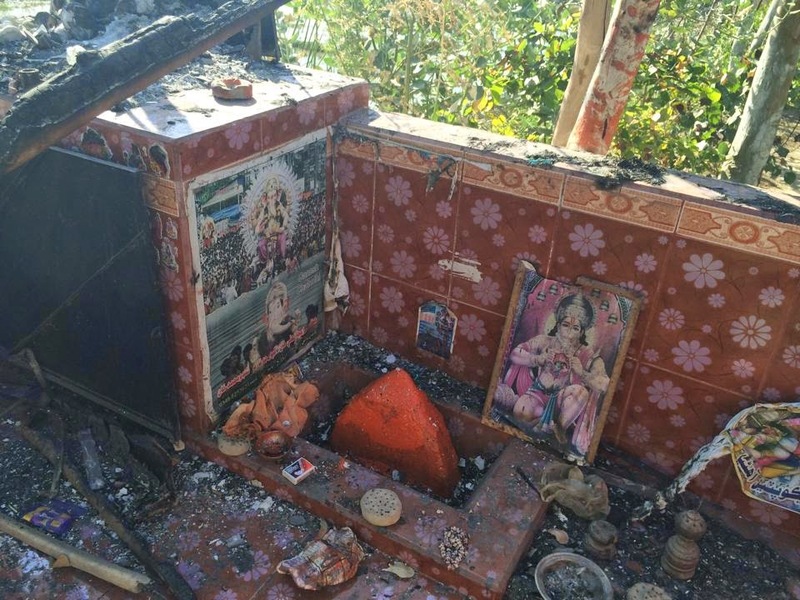 My concern is that this kind of destruction and devastation is accompanied by abduction of Hindu girls who are forced into marriages with older men and forced to convert to Islam. 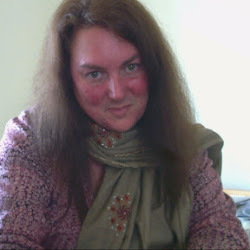 I am also concerned that these people whose lives are centered on the worship of their Holy places and the peaceful community which they unselfishly share with everyone are continually harassed and without mercy or concern for their welfare by their government, are ignored and left to constantly live in fear, lack of resources and without hope of recovering from this devastation. Our advocates are their only representatives and those in the International community including their own who raise the voice for Humanity and the protection of their rights. IUFE demands the protection of these indigenous people and that their rights to practice their religion freely, live without harassment and abduction, and full citizenship and participation within their society be upheld. 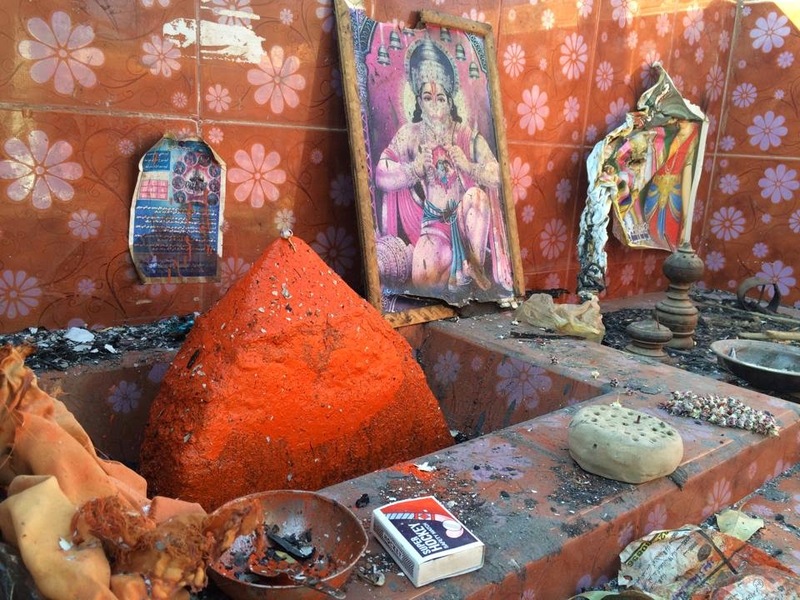 IUFE further demands punishment to the full extent of the law for any desecration of Holy Shrines or Vandalizing Hindu Deities. IUFE demands the full protection of our Advocates working on these cases and protecting the health and safety of these communities. The International Community must also join us in this demand. These are serious violations of the Universal Declaration of Human Rights and require immediate attention by the Government of Sindh and Pakistan and all Civil Liberties Alliances and Human Rights organizations! 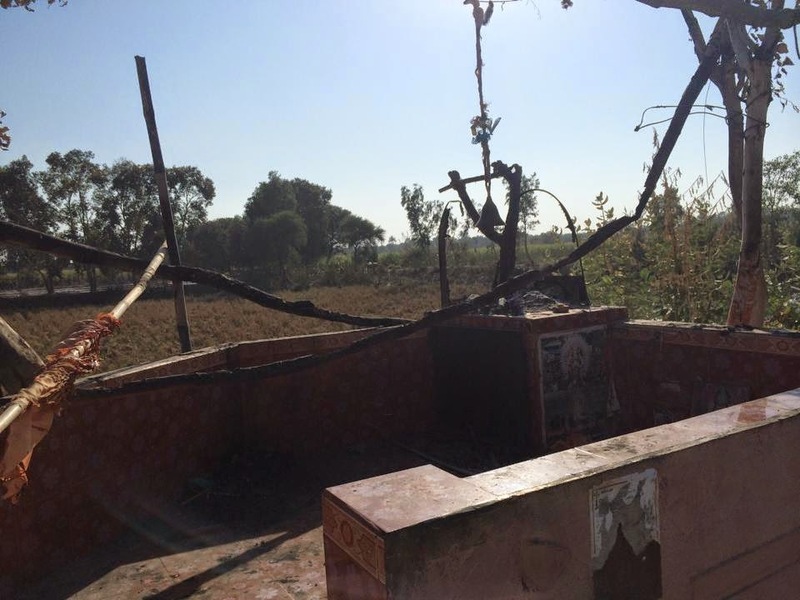 "5 days ago, A Hindu temple of Hanuman ji, in Tando Mohammad Khan town was torched in the early hours of Friday."